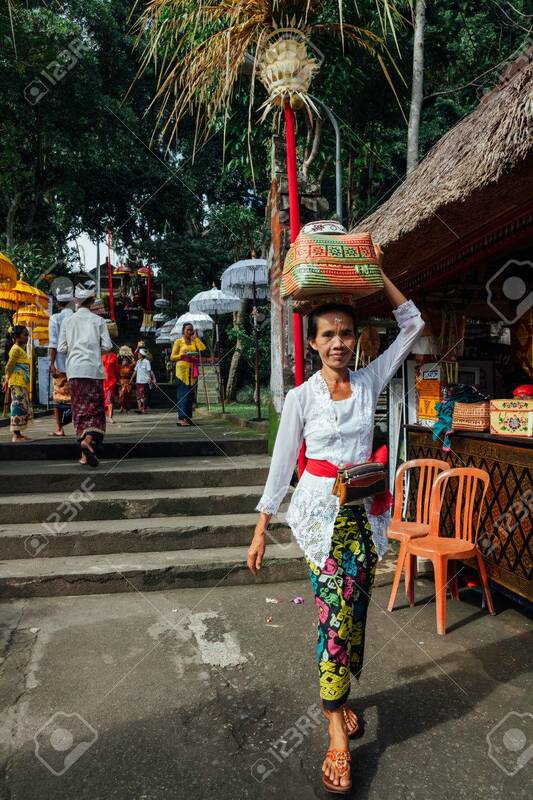 Ubud, Indonesia - March 02, 2016: Balinese Woman In Traditional.. Stock Photo, Picture And Royalty Free Image. Image 56540845. Stock Photo - Ubud, Indonesia - March 02, 2016: Balinese woman in traditional clothes carrying ceremonial box with offerings on her head during Balinese New Year or Nyepi Day celebrations on March 02, 2016 in Ubud, Bali. Ubud, Indonesia - March 02, 2016: Balinese woman in traditional clothes carrying ceremonial box with offerings on her head during Balinese New Year or Nyepi Day celebrations on March 02, 2016 in Ubud, Bali.